As one of my side projects during my sabbatical break in 2015, I've worked with a sociology research group to visualize the process of gentrification in one of the most dynamic cities in Europe. Visualizing the process of gentrification in one of the most dynamic cities in Europe. Gentrification, the process of urban renewal, the improvement of formerly deprived neighbourhoods and the subsequent replacement of its original population, is a well-known phenomenon in many cities in Europe, North America and around the world. A research group at Humboldt University Berlin focuses on the long-term study of this process, particularly in Berlin itself, where many neighbourhoods have changed quite dramatically since the reunification of Germany. Living in an inner-city neighbourhood that underwent several waves of gentrification already (and also being very aware that I am part of the problem), I was very interested in the research group’s work and followed their popular blog on this topic for some time already. In 2015, I went on a sabbatical break, and besides travelling, learning how to kite surf (at least I tried) and brushing up my French, I started a couple of small side projects. For one of these projects, I got in touch with the gentrification researchers at HU Berlin, asked whether they might be interested in working together and offered my skills for pro-bono work. 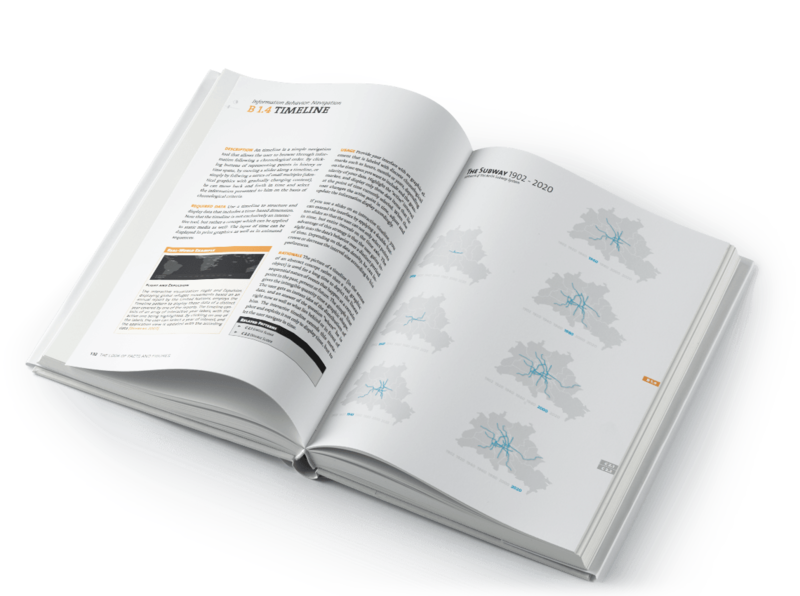 As the basis of their study of gentrification’s long-term effects, the group collected data on a variety of social, economic and demographic indicators for the 110 local neighbourhoods in the city of Berlin. These indicators include topics such as unemployment rate, median household income, average age of the population, or the number of single-person households in a neighbourhood. And while the subject is a very public one which affects a wide range of people, the researchers’ insights rarely made it into publications outside the academic community. 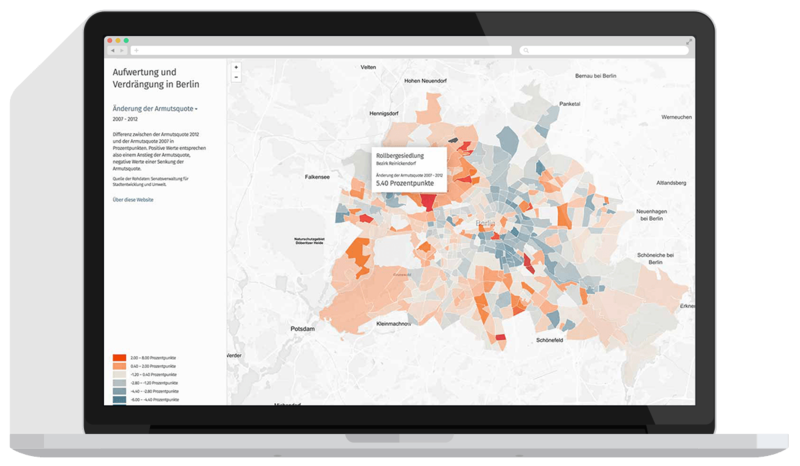 The website “Gentrification in Berlin” attempts to make these data accessible to a broader audience, and to allow people to explore and draw their own conclusions on this heatedly discussed topic. The visualisation was published along with one of the research group’s Master student's thesis in September 2015.